« Fish And Blood: Now Where Do I Buy Those French Tampax? You may want to start off with giving your soil a nutritious boost by making your own fertilizer. Costs involved: zero. 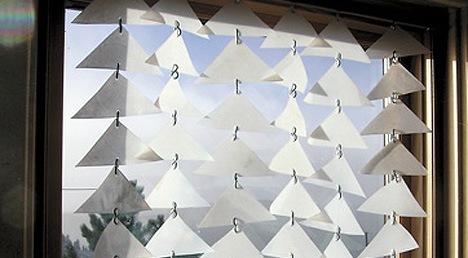 I also like this idea: turning empty milk jugs into window shades. I don’t need shades on my kitchen window but anyone who is ultra-environmental conscious might want to try this. I think it looks good on the photos but up close, well, I doubt it would be very stylish. This entry was posted on Tuesday, November 13th, 2007 at 7:57 am	and is filed under DIY And HowTos, Going Green And Environmental Issues. You can follow any responses to this entry through the RSS 2.0 feed. You can skip to the end and leave a response. Pinging is currently not allowed.